Mike Erney is the Managing Partner at Alliance Search Solutions with more than 15+ years of experience in human capital management & leadership selection. He has a strong track record of success delivering talent solutions to middle market organizations, Fortune 500 companies, and private equity. Mike is an expert in global talent acquisition for Operations, Engineering, Finance, and Supply Chain. Mike helps companies improve their bench strength and offers a step-by-step approach to building a powerful talent strategy that will ensure the perpetual availability of potential leaders. 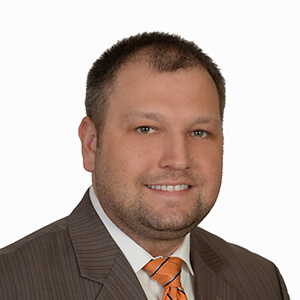 His wide knowledge of the recruiting industry enables him to quickly understand the challenges of his clients, thereby helping them solve problems, develop alternatives, and find creative ways to promote their businesses. Mike has successfully completed searches for over 150 clients nationwide. Mike was born and raised in Cleveland, OH. He graduated from John Carroll University with his Bachelor’s Degree in Finance and Minor in Economics.